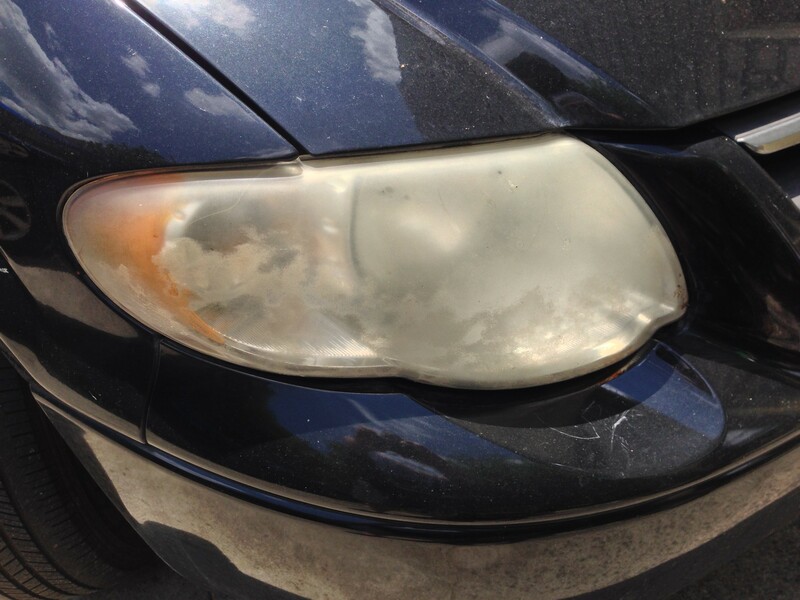 For a while now, the passenger-side headlight on our van has been covered with a hazy film. We had tried scrubbing it with various cleaners we had around the house, but could never get it to clear up. Susan picked up a cleaning kit, and last weekend I finally had a chance to give it a try. 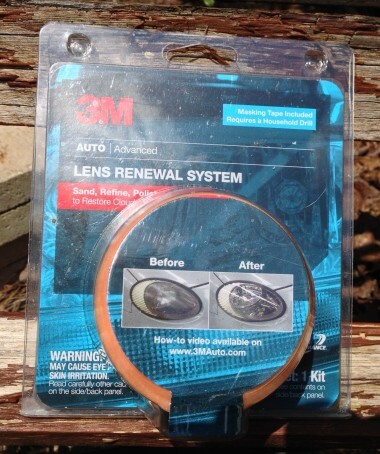 The kit is the 3M Lens Renewal System. 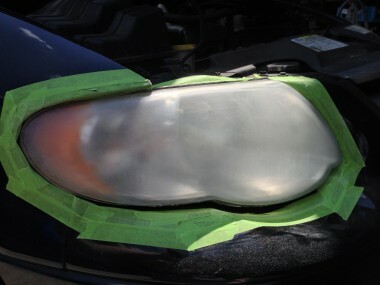 Our kit came with masking tape (to protect the areas around the headlight), a disk attachment, two different grits of sandpaper, a gray buffing disk, an orange buffing sponge, and lens polish compound. 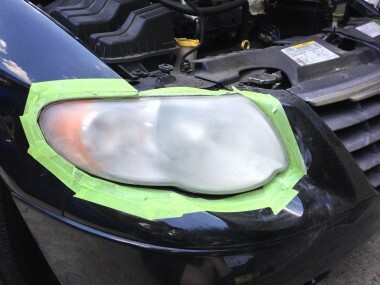 Finally, I used the orange buffing sponge with a little of the lens polishing compound to finish things off. 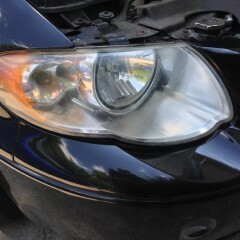 The final result looks pretty good! 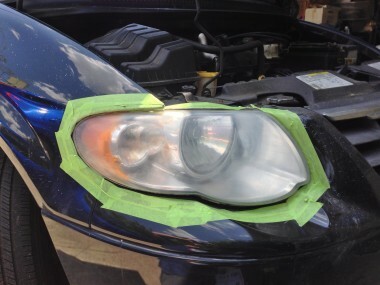 I only head to clean up one of our headlights, but the kit came with enough supplies to work on (at a guess) four lights, if needed. 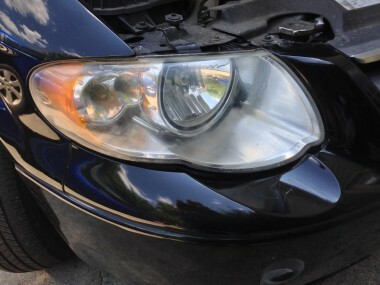 This entry was posted in Personal and tagged 3m, autos, Cars, cleaning, diy, handyman, headlight, lens. Bookmark the permalink.